How a Lochard Professional Designs and Installs a Heating and Cooling System. Since the average heating and cooling system will be installed and used for many, many years, it is imperative for a heating and cooling system to be properly designed for your home. 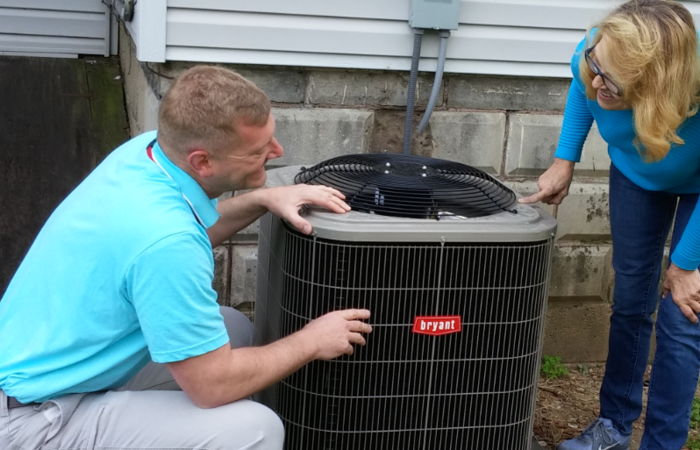 When purchasing a comfort system, a HVAC contracting company purchases the equipment from a high quality manufactures, then assembles the components and installs the completed assembly into your home. This involves several specific steps if you’re to be assured the job is done properly. Whether you need a furnace replacement or are purchasing an entire comfort system for a new home, Lochard Inc.’s professional staff follows strict guidelines developed over our seven decade history for designing and installing the perfect heating and cooling system for your home. 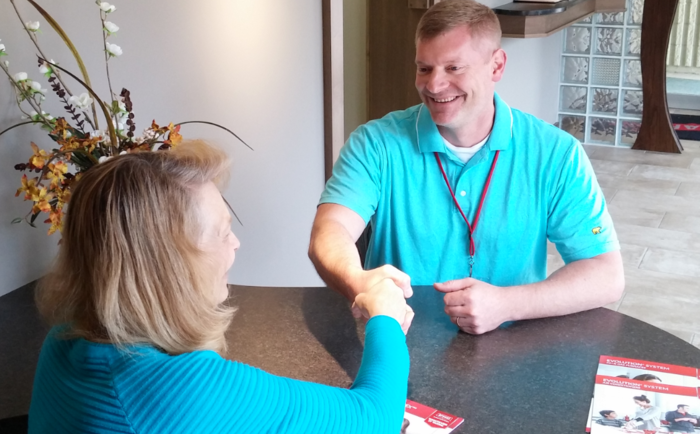 We want to make sure your family’s home is safe, comfortable, and energy efficient! Don’t worry… maybe you don’t know exactly what your options are; we’ll take the time to educate you on this rapidly changing industry so you can make an informed decision. Now it’s time for one of Lochard Inc.’s pros to start designing. An appointment to meet with you at your home starts with making you comfortable with the process of what is happening, why it needs to happen and what you should expect to follow. Performing a thorough analysis of your house is next. This may take a while as the size of rooms, windows and doors are measured. The insulation effect and the amount of “leak rate” of the structure are determined. Many more building factors are also used to determine the heating / cooling load of the structure. Now that our design pro has compiled all their necessary information it’s time to leave and crunch the numbers. 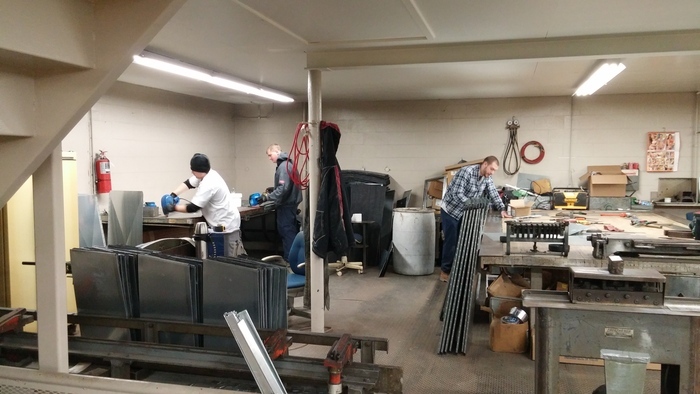 A complete load analysis, duct design, equipment selection and proper register and grille selection is now performed back at Lochard Inc. offices. Operation analysis and price comparisons and even financing is looked over in order to provide you with the most inclusive quote. We’ll provide you with a four tier quote (Good, Better, Best, Fantastic) so you can choose what best suites your comfort needs and your pocketbook. We will make sure you get any rebates your new system may be eligible for through DP&L, Vecten, Pioneer, etc. and provide financing options through Wells Fargo. In a few days Lochard’s comfort advisor will contact you and present to you the proposal and price quote. At this time, our experienced pro can answer any questions you may have and thoroughly explain to you what to expect in the installation process. When you choose to proceed with the installation of your new comfort system, that’s when the true quality of Lochard Inc. workmanship begins. Our clean, knowledgeable and hardworking installation team will show up on time and complete the installation as agreed upon. We use only the highest quality equipment from Bryant Heating and Cooling Systems. We install all sheet metal duct systems, built in our own facility by our experienced metal craftsmen. In an effort to cut costs and labor many companies use store bought snap together duct and fittings, duct board and flex duct. These products can reduce the air flow for your home’s ductwork. Properly sizing, crafting and installing sheet metal duct for your home’s duct system can greatly increase a heating and cooling system’s efficiency. Duct joints are sealed and ducts are insulated in unconditioned spaces, to reduce any inefficient heat losses. When your the installation is complete, the next step is we send one of Lochard's top notch, friendly and experienced service technicians to your home to perform a proper commissioning of your new system. Following all manufactures specifications, the technician will verify the new equipment is functioning at its rated efficiency. Extensive testing is done at this time. Combustion tests for fuel fired equipment, refrigeration analysis for all heat pumps and air conditioners, Heat of extraction calculation on geothermal heat pumps and air flow measurements for all duct systems. Pretty technical stuff! But, this is all to make sure you get the reliability and efficiency you paid for when you chose your new comfort system. Now you and your family are ready to enjoy the comfort and peace of mind that comes with every Lochard Inc. comfort system. Lower energy bills, quieter performance and increased comfort are just a few improvements to look forward to. But wait… There’s more! Heating and cooling equipment manufacturers all recommend annual inspections and maintenance by a qualified technician. They also have language in their warranties saying that damage to the units caused by improper maintenance is not covered under the warranty. Does this mean that an annual furnace checkup is really required, or the warranty is voided? Probably not, but it’s recommended. The best analogy is going to the dentist every six months for a checkup and cleaning; probably not necessary, but definitely recommended. Quality Equipment, Knowledgeable Staff, Superior Workmanship and Service After The Sale Makes Our Comfort System Extraordinary! Our main focus is you, our customer. We are not happy until you are happy, our success is dependent upon your satisfaction, therefore it is the main focus of our business. We strive to provide superior services, a superior product through ongoing research, and a competitive price. As one of our customers, we guarantee you fast, friendly, quality service. Along with the best warranties in the business we always guarantee 100% Satisfaction to all our customers.